Our unique brand of love is complete freedom, allowing us to hold opposing truths we find in life & living. These truths become more clear to us as we listen deeply. To hold is no longer about control. As we hold with the freedom love provides, we feel with wholeness, hear more succinctly, and see more clearly. To be in the free and whole space that love provides is to learn to be in the creatively tense middle. The middle space is tense because it forces the meeting of solitude and otherness. He was a bit older than most when he began his assignment guarding the prisoners. My guess is that Jack was more mature than most his age. He had not allowed life’s realities to harden him into stone. He lived from his heart, broken open by reality, not scattered into pieces, as had sadly happened in the story of one particular prisoner. In the ward where prisoners were placed on suicide watch, there was a particular individual who was teaching himself English by listening and searching for the right word for what he desired to translate from his native tongue. He was searching for someone to listen. Jack had walked this length of cells often and checked in on this person as the translations were being developed. One particularly beautiful evening, the prisoner called Jack over to the cell door. He looked at Jack and pointed to a word he had written, saying, “This is my word for you.” The word was tolerance. The prisoner shared his story with Jack that evening. I will not share that story here. What I do share, I share because I met Jack and heard the prisoner’s full story from him. The story gave insight into the teller’s tragic reality, while also speaking clearly about Jack’s Trueness as experienced by this prisoner. Even before Jack and I had a chance to talk together, I was intrigued by watching Jack with his peers, his supportive eye contact and an engaging smile; a way of being with each person in his presence. In our one-on-one time together, I shared with Jack what I heard as he told the story of this encounter. I heard Jack’s voice of love coming through, not only in the telling, but also in the very fact that such an encounter could only occur because the man in the cell chose Jack to receive his sad story. That night, with the open door allowing the night air through, his prisoner offered a gift in exchange for being allowed to leave his story with Jack. He gave Jack the gift of awareness, letting him know the impact of his voice, and the strength of that voice, tolerance. Upon learning more about my journey, and in the process more about what both drives and draws me, my friend Judy said, “You live a true life.” From this conversation, the term Trueness was given visible life in my work. My Rhythm of Trueness in this work begins as I gather from desire what is needed to grow intent, and rhythm finds its full cadence as I give in the creative, tense middle space. This rhythm, authentic and true, keeps me in the flow. When you finally commit to lead, influence, and serve from the rhythm of your Trueness, you can grasp the reality that there is no priority higher than that of your love. In a follow up conversation with Jack, he talked about how important it is to purposefully recognize the difference between yourself and the other person in whose presence you’re blessed to be. He shared other stories of stepping into that space where he carefully held what he was feeling, hearing, and seeing. It became clear to Jack, and ever more clear to me, that our voice−our individually unique brand of love−is what opens the door, and allows our differences to swirl into Oneness. To allow the strength of one’s voice uninhibited flow. in the story you must tell. What I love about storytelling is wholeness. In my experience, stories have been shared with me to bring clarity and wholeness to a particular situation. This is how I use stories in my one-on-one work with leaders. I tell stories directed at the need of the individual’s integrity. I tell stories to assist the individual in feeling, hearing, and seeing his/her own truth and reality with more clarity−opening the individual further to personal impact and potential. In and with stories, I love to show an individual how to apply the true self in a specific situation. These are not necessarily stories told by me, but more the stories I encourage out of the individual herself. I love hearing the light in her voice when she realizes she can handle the situation in a more authentic, skilled manner for a better outcome, one leaving everyone whole and her feeling good about herself. Christie wanted to improve the relationship with her boss. At the beginning of the coaching session where she set that goal, she asked me to help her create a process to confront him and begin the focused process. I told her I would help her create such a process. I lied. You see, I knew I could not help her create such a process, but I knew I could help her find that process right there inside where the process already existed. To begin the journey to the process Christie desired, I begin to ask her questions about her boss, to learn more about his story. As Christie unfolded his story to me, I could hear so much compassion, care, and concern. The focus once completely on her, when she first told me about her frustrations with her boss, began to shift fully on him, with a powerful level of understanding in play; she was forgiving her original assumptions. She didn’t even know when it happened, when the process she needed unfolded in her story. When she was done answering my questions, and telling the engaging story, I simply recounted the 3-step process she had asked me to help her find, a process vibrantly alive in the story she had told. The integrity of her process was undergirded by the power of focus that had come from her voice in play as she told the story. Her voice of Positive, Open Intent was flowing in the telling. Everything can be taken to the flow, for whatever reason. If taken there with a commitment to hold and release, whatever is placed in the flow will be free to do what is good and right down stream, whether this is seen or not by the one who releases in love. Arriving at real presence is to enter a flow alive with the rhythm of who you are. Narrowing my personal brand of leadership love, and subsequently broadening my impact, enriched my work and life. The intensity of love strengthened my focus. Love flows through my work, only after doing its work in me. what we know by your rhythm. Real presence (Trueness) displays the design uniquely visible in your natural, interior landscape. You love when you lead others to trek this original path. Any individual who follows your loving lead will depend on the rhythmic frequency of your uniqueness. Love defined for the leader is to lead others with confidence while leading others to their own confidence. The journey is enlivened when you travel conscious of what you most desire to give through your work. The working love of a confident leader builds the confidence of others. It’s okay to love your work and in your work, love. 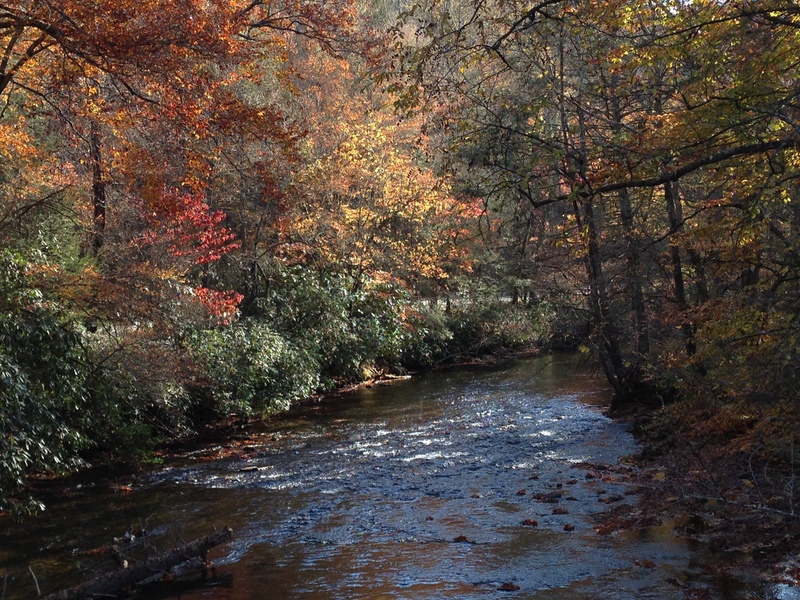 Driven by passion, and drawn by purpose, your presence honors the flow of Trueness. Through a consistent commitment to presence, your reach in this world is extended and your impact broadened. This is Trueness lived. Trueness lived is confident substantiation of your love as a leader. In Trueness you become the aware, focused, and loving leader. You listen. You see present need. You are learning to consistently trust the story you see and then tell it to us in order to fill the need. Driven by your love for us, you tell effectively. You are present with your love and we have love in your presence. To be accountable for your story, and present with our stories, is to have Impact in this world. To miss the point of love in work, especially in your work as a leader, is to miss out on the work experience altogether and the very point of leading: an opportunity to Love—uniquely! What is the power of Story? To put it as simply as I know how, I will answer with one word; Why. I remember being asked to lead a major project in my last 2 years of corporate experience. The work included staff reductions in three states. Rick, who enrolled me to lead the project, gave me 3 pillars around which to build: 1) Achieve the cost savings 2) Maintain and even improve the quality of the work we would be moving around, and 3) Do the right thing by the people. He made no attempt to tell me how to do what I needed to do. In his 3 pillars I knew what to focus upon. And, even though it may not seem like it at first glance, I had the Why. For me, the 3 pillars became the Story that I, and my project team, had to tell. 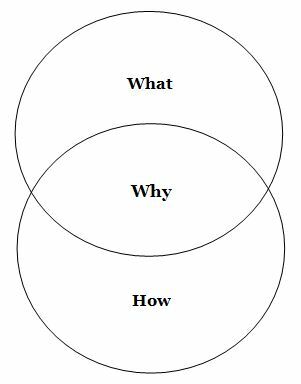 Why is the core of compelling narrative. And what and how hold powerful support data if we help others make the connection. I’ve been booked for a day in Illinois where I will serve as a feedback facilitator. A selection of technical leaders are learning more about the consultative part of their individual roles. As part of this learning experience is practice and application of meeting with an executive, listening, gathering info, and then creating and delivering a compelling presentation to pitch solutions and create partnerships. Through experience these leaders will learn the power of story and storytelling in business. Consider my audience. What’s in it for them to hear from me? Develop my One Main Message point. Provide vivid support to this 1 point. Considering your receivers opens you to the reality of what. Your main message is the heart of the matter−Why. And, as you provide vivid support, you tie how to the heart, making ever more clear the message. Confusion can never compel; that takes clarity. Storytelling is the 7th 21st Century Skill for the leader. Storytelling balances, or pulls together, the objective and subjective into a compelling and ongoing narrative. Leading from the clarity of your Desire & Intent others are compelled by your purpose (your story). In such clarity, together we are transformed, driven by individual purpose and drawn into a collective vision. 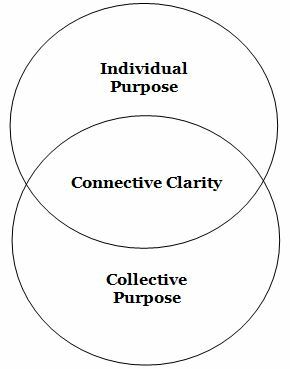 Individual purpose and collective purpose can seem like opposites, and often working one against the other. The leader’s personal purpose brings to light a confidence we who follow need to see. And we need to feel and hear how such confidence becomes our own. The 21st Century leader speaks from A New Confidence−a clear articulation rooted in purpose. We can all appreciate the one who is practiced in the third skill of Messaging. When practiced and present, the messenger brings clarity in the moment. Such clarity becomes the foundation for engagement and the fuel for connection, combining to inform the future by our individual and collective choices in the present. Aimed at the collective, the engagingly clear message encourages individual purpose. As a leader you must stand strong for us in the middle−in the creative tension of the space between what we need as individuals and what we need to pull and keep us together. This creative space exists only in the present. Without getting into all the varying reasons, I think we can agree that change is a constant in this 21st Century. And while there are indeed many levels and types of change, any particular alteration can throw individuals in seemingly competing directions. From the same experienced change some begin a grieving process and others become excited to move forward. While we may react to change uniquely, we must soon come together in a proactive move through the change. Enter the 21st Century leader who leads us to connective clarity. This leader is not held back by a need to be understood that overwhelms the essentiality of understanding. Someone in a position of leadership who holds a selfish focus diminishes individual contribution−belittling efforts beyond their own capacity. But you, in A New Confidence, lead us with personal purpose, modeling for us in your message how individual purpose joins with and empowers collective purpose. What a message eventually produces is not nearly as important, to those who need its clarity, as the creative space opened by the engaging view. The clear message is basically Storytelling in its purest form. As it is told to us together, we each are engaged in seeing, hearing, and feeling it as our own. It’s okay to love your work, and in your work, Love! The leadership life is about effortlessly holding ambiguity−the mystery in our own Trueness. The first holding must be for self; a commitment to your own growth and development. The purest communication and the deepest connection will naturally come to you as you live in that tense union created by the desire that drives you and the intent that draws you. When your messaging is clear, we are brought into the moment. We take the clearly expressed vision and begin to self-describe what it looks like to us as individuals; releasing creativity and building sustainable present action. In your work, who are those who will remember you? It is those whose life and living were enhanced by the interaction. Networking is leaving a legacy one person at a time. If living in and through a transition is individual art, then it is so because of conscious design with wonder. To be with work you love−and in such work, love−is the energy for active giving in the world; flowing generosity from the best of who you are. To simply pay attention is to step into the accountability of artful presence; your hearing is focused. In caring enough to demonstrate such focus, we are drawn in by clarity and then out through individual engagement to co-facilitate connection. As Trueness evolves into a living performance you are transformed. There is equanimity in the art of holding and in the necessity of releasing. Such powerful and personal transformation, and the subsequent building of leadership confidence, is precisely the energy we need from you−and with you. As you hold us in the task of co-creation, you simultaneously release us into the larger story. You do this because you know you cannot build or tell this story alone. Storytellers love the listener through the well crafted and consciously told story. And you, the 21st Century Leader, you love what you do−and in what you do, you love us! This moves us forward in the Story together.